Did Kavanaugh know he was getting stolen information while he worked at the White House? This is one of the biggest questions Democrats have raised about Kavanaugh’s credibility, and we set out to investigate. Manuel Miranda, a Republican Senate staffer who was quarterbacking the GOP’s moves on judicial nominees, stole a trove of internal documents from Democrats on the Judiciary Committee between 2001 and 2003, assisted by a clerk. Miranda shared some of those documents, or key details gleaned from them, with Kavanaugh and other GOP allies working to secure Senate confirmation for some of President George W. Bush’s polarizing judicial nominees. As strategic advantages go, Miranda had struck gold, gaining real-time access to the opposition’s innermost thinking during a bitter partisan standoff over the composition of the federal courts. 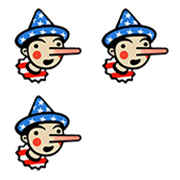 Kavanaugh has maintained since 2004 that he had no inkling he was privy to stolen information. Our review of all the records and testimony on this issue shows that Kavanaugh’s repeated pleas of ignorance warrant heavy skepticism. In 2001, Jason Lundell, a clerk in the Senate’s nominations unit, found a security lapse in the Judiciary Committee’s network that gave wide access to any files stored in Democrats’ or Republicans’ folders, according to a March 2004 report by the Senate sergeant-at-arms. Miranda often told Lundell where to search “and would sometimes tell him that there was something new in a particular folder and ask the clerk to print it for him,” according to the report. Miranda “admitted accessing the computer files of Democratic staff himself on one or two occasions,” the report added. A forensic analysis of Lundell’s computer identified 4,670 files taken over 18 months from 2001 to 2003, most of which appeared to belong to Democratic staff. Lundell told investigators he “frequently searched the folders of some Democratic staff on an almost daily basis while working on the nomination of Judge Priscilla Owen,” Bush’s pick for a seat on the U.S. Court of Appeals for the 5th Circuit. Owen’s nomination did not sit well with Democrats and became a sticking point. Regardless, did Kavanaugh have any reasons of his own to suspect something wasn’t quite right? Even if Miranda never told Kavanaugh precisely how he got the information, the information itself was richly detailed and yielded a ton of clues. We put together a timeline of the intel Miranda was feeding in real time to Kavanaugh and other GOP allies in Washington. Some question marks in the documents released by the Senate that were meant to be apostrophes or quotation marks have been changed for clarity. Again, Miranda seemed to know in specific detail what Leahy’s staff was up to. It’s possible he was hearing some of these details through the grapevine, but the questions he’s relaying seem oddly specific. Notice, also, the reference to “intel” about Leahy’s potential line of questioning for Owen. “I have not seen the letter but it strongly criticizes Owen’s actions on the Doe cases, especially for her ‘appalling insensitivity’ To the pregnant minors before her court. This email is a big tell. Miranda was describing in detail the contents of a “confidential” letter that Leahy’s office had received from an Owen critic, Collyn Peddie. Miranda in this email claimed not to have seen the letter itself, but that raises the questions: How could he go on to quote from the letter seemingly verbatim, and how could he have summarized Peddie’s points with such precise detail? “Specifically, Peddie accuses Owen of publishing ‘dissents and concurrences in which paragraph after paragraph of confidential testimony was quoted in great detail,’ ” Miranda wrote. Notice how he seems to be quoting directly from Peddie’s letter. Kavanaugh responded the same day with a detailed, point-by-point counterargument. We can’t imagine why Democrats would share this confidential information willingly with Republicans. It would be absurd to tip off Republicans about this secret weapon if Democrats were planning to use it “at a moment when we are unable to respond,” as Miranda wrote. But let’s leave that aside for a second. Peddie had requested confidentiality because she didn’t want to endanger her chances of becoming a partner at her law firm. Why would Democrats throw her to the wolves? Vote counts on sensitive political issues are not the sort of stuff that gets shared with the other party. Once again, this could have been filtered to Miranda in some innocent way, but we would have started to notice a pattern by this point. Kavanaugh may have noticed that this letter landed in his inbox the day before it became public. Or maybe not. After all, no one asked the golden goose why its feathers were made of gold. More detailed insider information and counter-strategizing. March 18, 2003, email from Miranda to Kavanaugh with the subject line, “For use and not distribution,” appending a long internal memo from Democrats fighting Bush’s nomination of Miguel Estrada to the Court of Appeals for the D.C. Circuit. This is the closest thing to a smoking gun here. Democrats were marshaling their resources to block Estrada’s nomination to the Court of Appeals for the D.C. Circuit. This memo, written by Leahy’s counsel for nominations at the time, Lisa Graves, was basically the entire playbook on the most heated issue concerning Estrada: access to his records. Graves — who published an op-ed arguing that Kavanaugh lied, and a joint op-ed with others along the same lines — had compiled all known precedents for releasing a nominee’s records from the Office of the Solicitor General in the Justice Department. The White House was arguing that Estrada’s records from that time were not subject to release, because prior nominees who had done stints in the solicitor general’s office had not released them, either. Democrats expected that the records would show Estrada taking “far-right positions” on Miranda v. Arizona and on litigants’ basic right to counsel, Graves recalled. She set out to find all known instances of such records being released and gathered the examples in a memo. Democrats never would have shared the memo, Graves said. It not only included all their best arguments — it also included their weakest ones, she said. We can’t imagine any reason Democrats would give away the store like this to Miranda, or any reason Kavanaugh would just keep assuming everything was normal at this stage. Leahy’s office sent us its own copy of the nearly 4,000-word memo, which is virtually identical to what Miranda sent Kavanaugh. April 9, 2003, email from Miranda to Kavanaugh and a colleague: “Brett, sorry for the slow reply to your message. Below is what I know prior to the yesterday’s Caucus. My understanding is that they are now trying to keep powder dry while they strong arm those listed below, this suggests that we should file early for cloture rather than letting pressure build on them over Recess …what do you think? “The Democrat caucus has not yet decided whether they intend to filibuster Owen’s confirmation but will likely do so on Tuesday. Today, Senator Kennedy is seeking a meeting with Democrat leadership to convene a meeting of Democrat leadership with Judiciary Democrats to discuss a filibuster. Owen will be discussed by the Democrat Caucus today. Senator Kennedy is expected to ask Democrats to keep their powder dry until leadership makes a decision. “Yesterday, Senator Feinstein convened Democrat women on Owen. Last week, Naral Pro-Choice America notified Democrat Senators that it will score votes on Owen. Another impressively detailed compendium of insider information. By this point, it might have been clear something highly unusual was happening. The White House did not respond to our requests for comment. Kavanaugh since 2004 has faced dozens of questions from senators of both parties about this issue and has given essentially the same answer: Nothing seemed fishy because Senate staffers often shared this kind of information across party lines. Questions arose once again at Kavanaugh’s confirmation hearing for the Supreme Court this month, and once again, he gave the same see-no-evil answer. 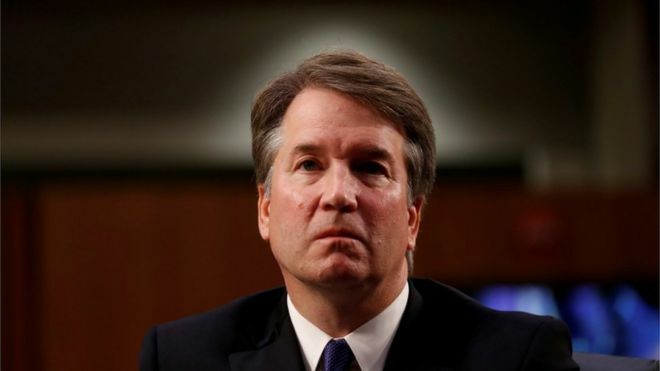 Even in hindsight, years after the document breach was revealed, Kavanaugh has maintained that nothing raised red flags and that he never received documents that appeared to be stolen or obtained in an “untoward” manner. Particularly questionable are Kavanaugh’s claims about the Peddie letter (Miranda seemed to quote directly from material Democrats had received confidentially) and about the Graves memo, which went on in breathtaking detail about Democrats’ strategy for a big, contentious political battle that year. The best-case scenario is that Kavanaugh, who is up for a seat on the nation’s highest court, has a glaring lack of curiosity or a superficial level of discernment. The worst-case scenario is that he has been feigning ignorance since his first confirmation hearing in the Senate in April 2004, which was held after the Senate sergeant-at-arms had released his report documenting Miranda’s serial theft. In any case, Kavanaugh’s response to Leahy this month — describing all this as “the usual kinds of discussions that would happen” — is not accurate. Neither was his answer to written questions in 2004: “These meetings, calls, and emails were typical of how judicial confirmations have been handled in past Administrations.” Neither was his response to Durbin at the 2004 hearing: “There was nothing out of the ordinary of what Senate staffs would tell us or what we would hear from our legislative affairs folks.” All three statements merit Three Pinocchios. "I have thought about this, Senator. There was nothing out of the ordinary of what Senate staffs would tell us or what we would hear from our legislative affairs folks. That said, I cannot tell you whether something that he said at some point, directly or indirectly, derived from his knowledge that may have come from these documents. I just cannot speak to that at all. I can say, in direct response to your question, that, no, I never suspected anything untoward."